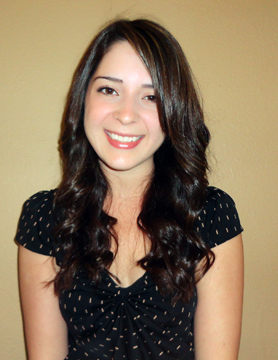 TAMPA, Fla. -- Christie Campla of the University of South Florida has been awarded the Barry M. Goldwater Scholarship. Campla is one of only 302 United States students to receive the scholarship. The one-year scholarship will cover the cost of tuition, fees, books and room and board up to a maximum of $7,500 per year. Campla is a College of Arts and Sciences junior, who is triple majoring in cellular and molecular biology, microbiology and Spanish. She is a Holcombe First Generation in College Scholar, USF Honors College Discovery Research Scholar and USF Scholastic Achievement Scholar. In summer 2011, Campla was selected as one of 10 international students for the CNIO Summer Training Fellowship in where she conducted research at the Spanish National Cancer Research Center (CNIO). She was also awarded the USF Undergraduate Award for Scholarly and Creative Excellence, a competitive award for undergraduates who have published their research. Campla represents the Honors College, where her academic achievements have been noted inside and outside of the classroom. She currently participates in undergraduate research with Meera Nanjundan, Ph.D., in the Department of Cell Biology, Microbiology and Molecular Biology. Her research focuses on the role of various TGFß signaling mediators / aberrantly spliced genes in autophagy and epithelial-mesenchymal transition (EMT) in ovarian cancer. Campla is president of the Undergraduate Research Board, vice president of internal affairs for the Undergraduate Health Council, and has served on the Honors College Student Council as historian and secretary of events. Campla intends to become a research scientist in the field of molecular oncology and lead her own lab and research team, as well as teach at the university level after completing both a Ph.D. and postdoc in cancer biology.